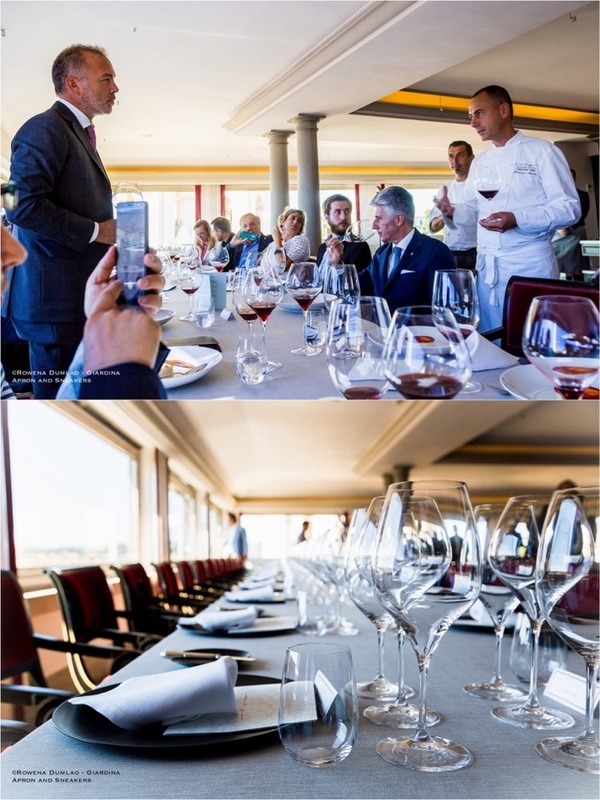 Damilano Winery has forty hectares of vineyards that are located in different comunes in the province of Cuneo in Piedmont and a vast production of sparkling, white, rosè and mostly red wines. In Barolo, they have four great crus: Cannubi, Liste, Brunate and Cerequio. 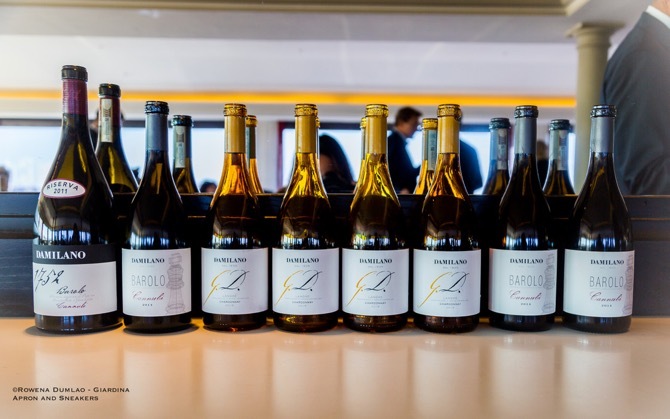 In these four particular crus, Damilano Barolo shows distinct expressions of the wines that showcase the differences of their terroirs, ranging from the innate elegance and depth of Cannubi and Brunate to the more decisive and structured character of Cerequio and Liste. 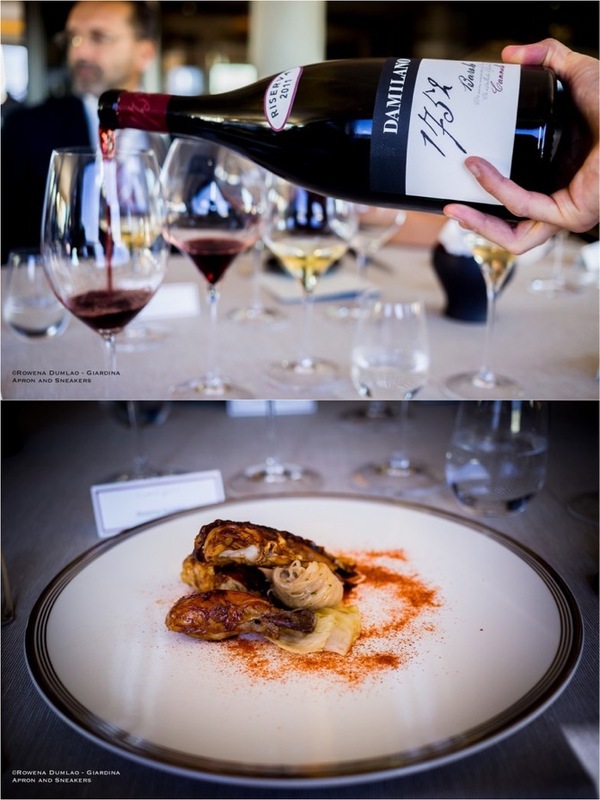 The excellence of high quality wine is obtained from the grapes, the terroir where they are cultivated in and the techniques of modern winemaking. 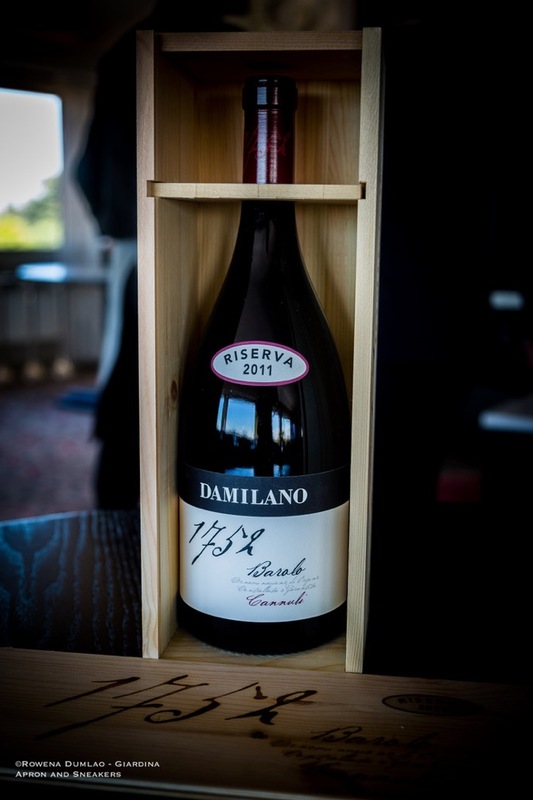 In the case of Damilano, their Nebbiolo grapes found a grand cru in the ten-hectare Cannubi hills, where their Barolo Cannubi and Barolo Cannubi Riserva 1752 came from. Thanks to its unique and little evolved soils formed during two diverse geological periods, the Serravallian and Tortonian Ages, the soils at Cannubi are composed of sedimentary chalky clayish marlstones interspersed with a high percentage of sand and Marls of Sant'Agata, combined with the gentle microclimate and south/southeast sun exposure at 280 m.a.s.l., both Barolo Cannubi wines are expressed excellently with elegance, complexities and intense fruity and herbal notes. 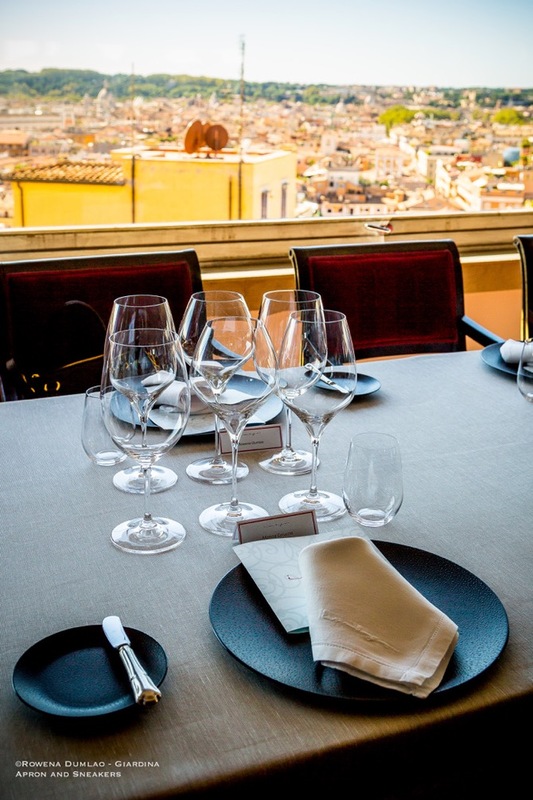 At Michelin-starred Imago all'Hassler in Rome, Chef Francesco Apreda paired his perfectly executed divine dishes with four Damilano wines, Brut Metodo Classico Millesimato, Langhe DOC Chardonnay "G.D." 2016, Barolo DOCG Cannubi 2014, and Barolo DOCG Riserva Cannubi "1752" 2011. 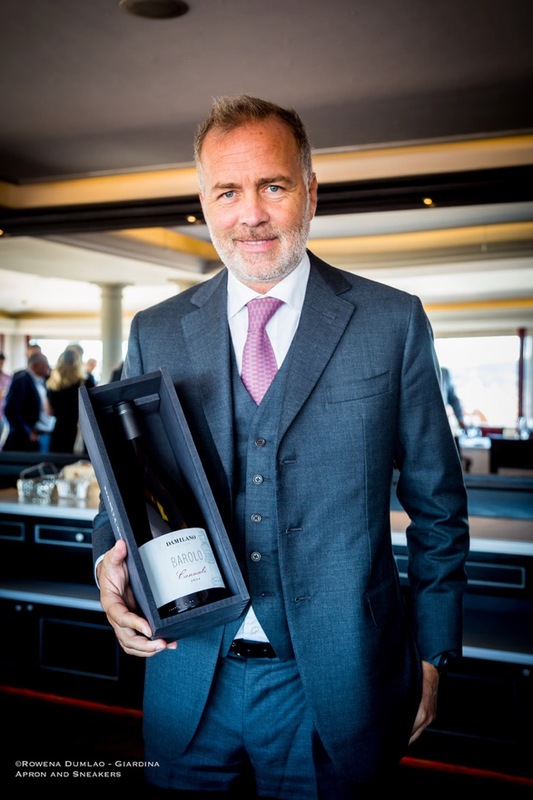 The Langhe DOC Chardonnay "G.D." 2016, now on its second vintage, with a 50,000 annual production, were sourced from two vineyards in Barbaresco and Monforte d'Alba with calcareous, clayey and sandy soils. Aged partly (around 30%) in French tonneaux for 6 months where it did the malolactic fermentation and 12 months in bottle. 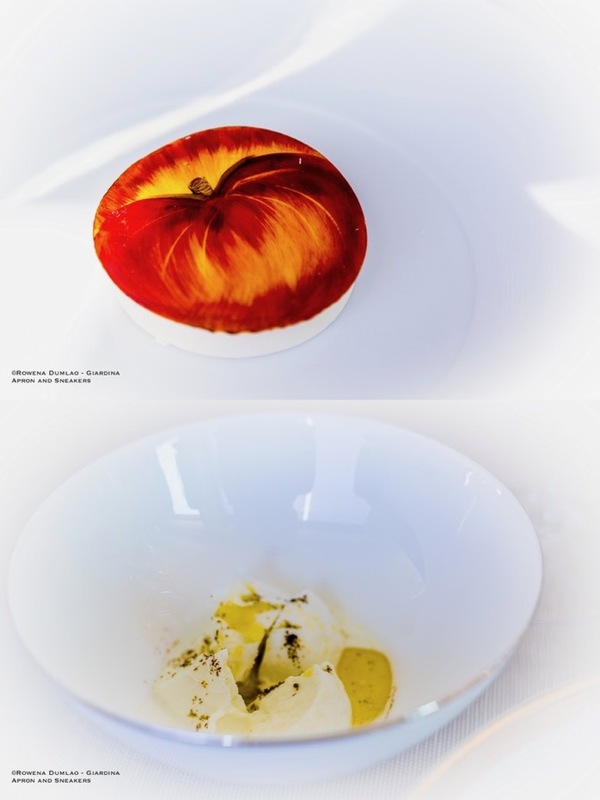 With Bruschetta and Mozzarella, a dish that evokes the acidity of the tomatoes, the softness of the Chardonnay complemented its freshness. 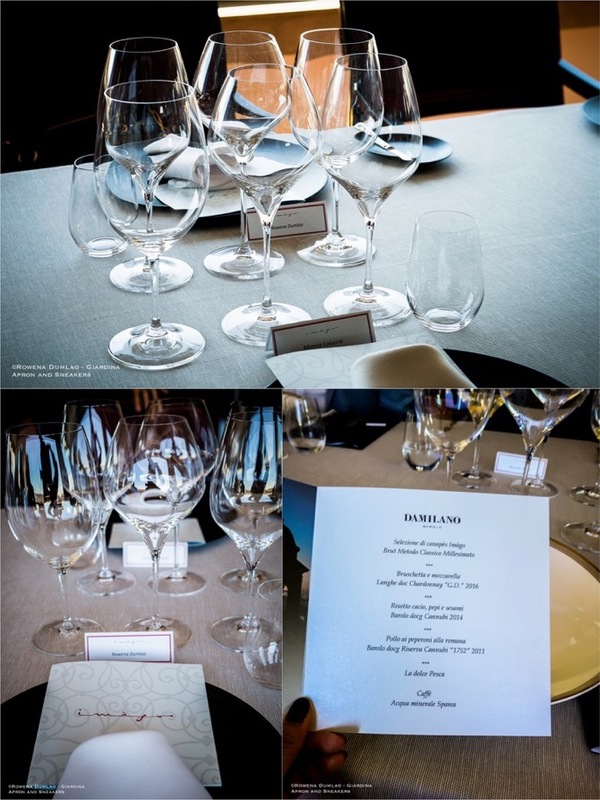 According to Alessandro Bonelli, Damilano's enologist, 2016 had been a long year with a beautiful summer that wasn't so hot, which permitted the Chardonnay grapes to mature slowly in perfection. 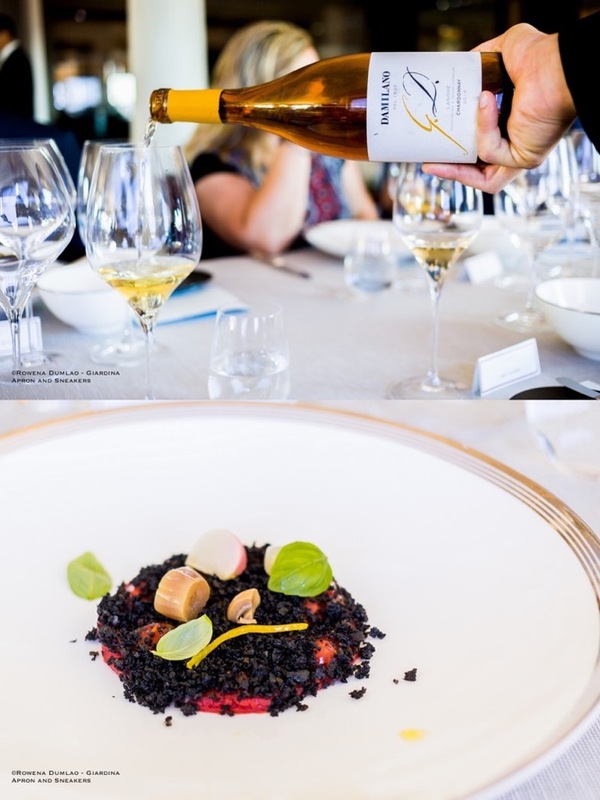 The result is a medium-structured brilliant straw yellow wine with evident fruity and floral notes of peaches, almost mature exotic fruits, citrus fruits, and white field flowers. 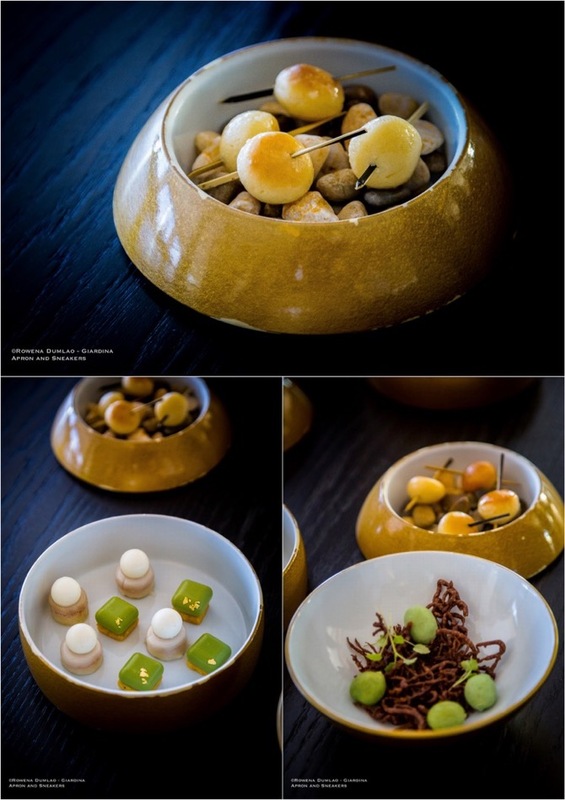 Sapidity is perceptible in the palate which represents its terroir quite well. And this wine, simply named G.D. is dedicated to the Giacomo Damilano, the one who revolutionized the quality in Damilano winery. 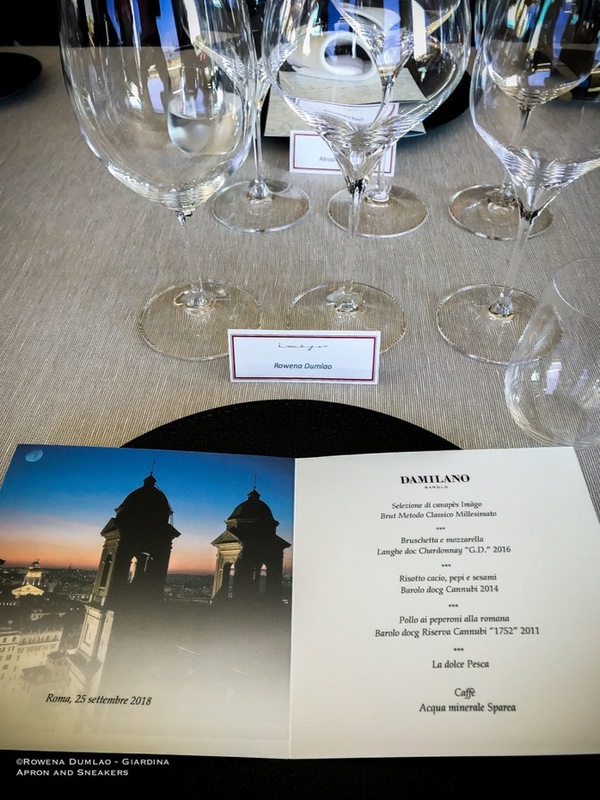 The younger signature wine of Damilano is Barolo DOCG Cannubi and Chef Apreda prepared Risotto, Cacio, Pepi and Sesami, a dish rich in complex sugars, fat, spices and aromas. 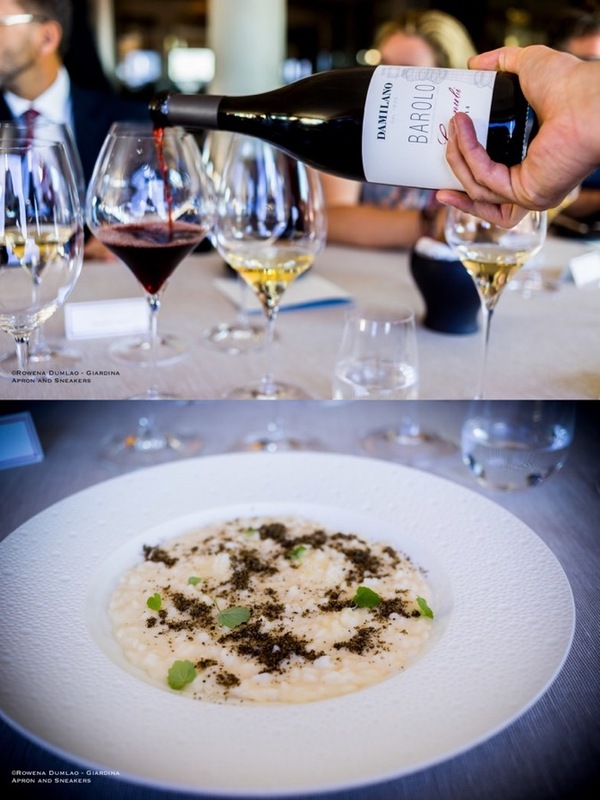 The persistence of Barolo Cannubi 2014 and intensity of its gustatory and olfactory characteristics concord well with the flavors of the risotto. Garnet in color, with a beautiful complexity in the nose and evident notes of red berries, cherries, mature dark stone fruits, cocoa and after a while, distinct notes of dried tobacco leaves with smooth tannins, perceptible freshness and moderate sapidity. This is a harmonic wine that can age beautifully in the cellar for more years. After a temperature-controlled fermentation for 20 days, it was aged for 24 months in big oak barrels and 12 more months in bottle before its release. 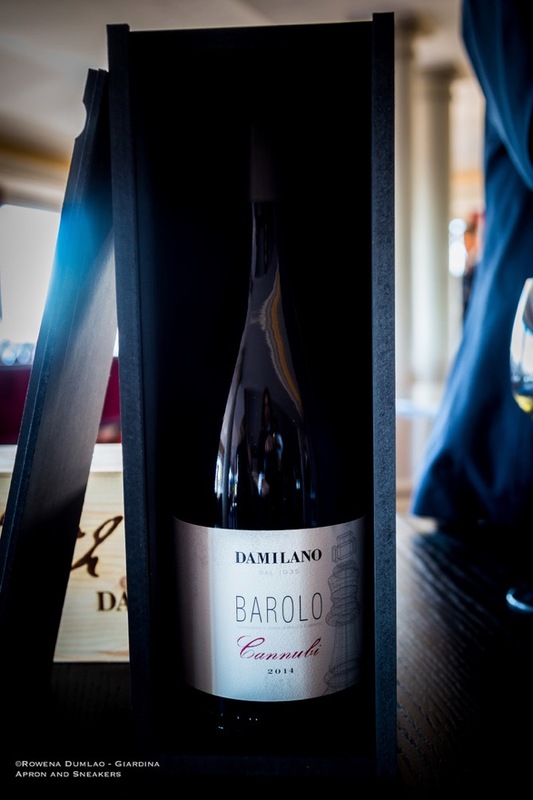 The ambassador among the Barolos of Damilano is Barolo DOCG Cannubi Riserva 1752. 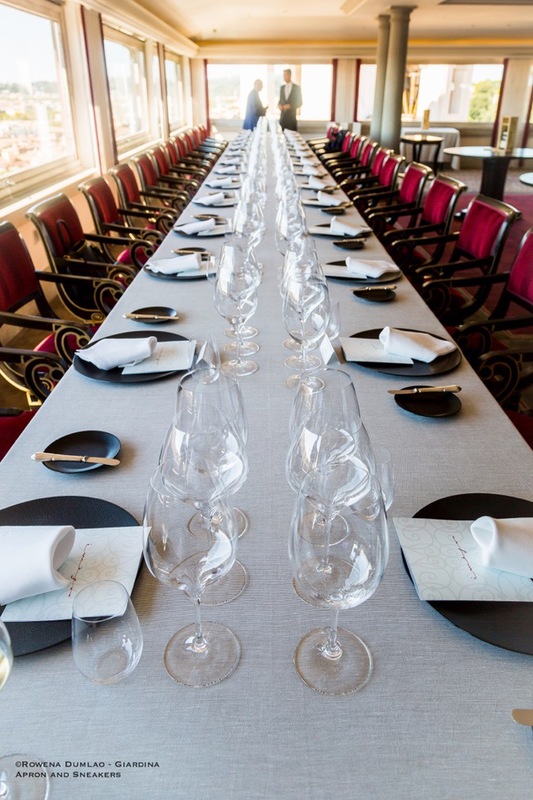 Eversince its first vintage in 2008, the Riserva, that takes 7 years to produce, has been acclaimed for its excellence. 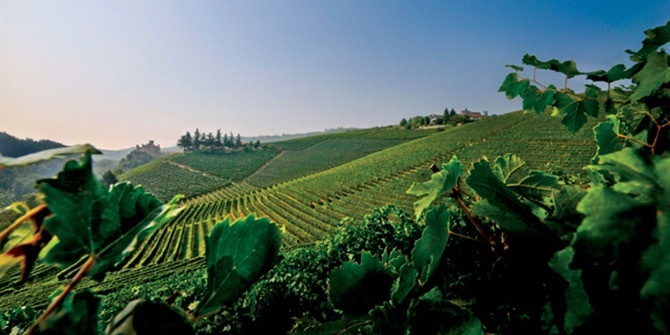 The grapes are harvested from 30 to 50-year old Nebbiolo grapevines at the 2-hectare historic core of the Cannubi vineyard located in the most central and highest position of the hill. The 2011 vintage, its fourth harvest, of a 6,000-bottle production with 100 in magnum bottles, goes through a fermentation of 20 days and 30 days of submerged cap maceration (depending on the vintage), then aged for 5 years in large oak barrels and a further 2-year aging in the bottle. 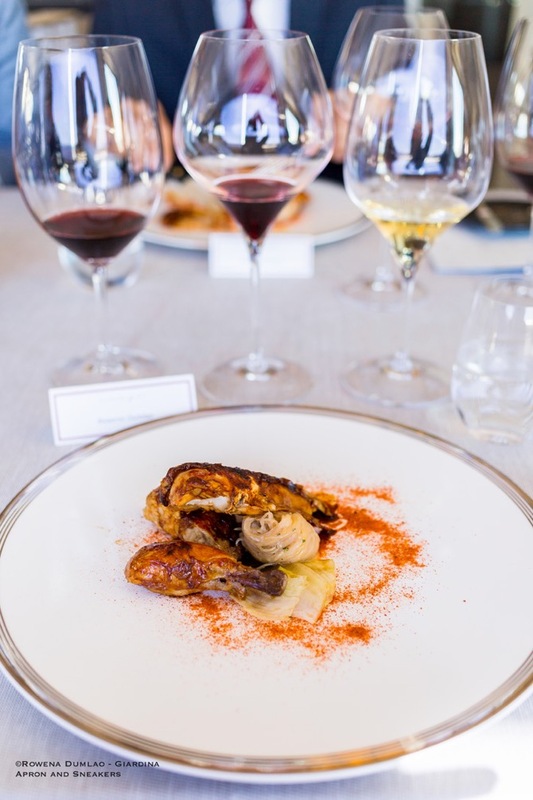 Served (opened 3 hours before) with an equally exquisite dish of Roman Pepper Chicken, the delicateness of this Barolo harmoniously enveloped the flavors. It is a full-bodied wine with deep ruby red color, hints of garnet, intense with ample complexity in the nose, giving strong notes of violet, cherries, red stone fruits, spices, cocoa and opens slowly in the glass more more complex flavors like dried tobacco leaves. 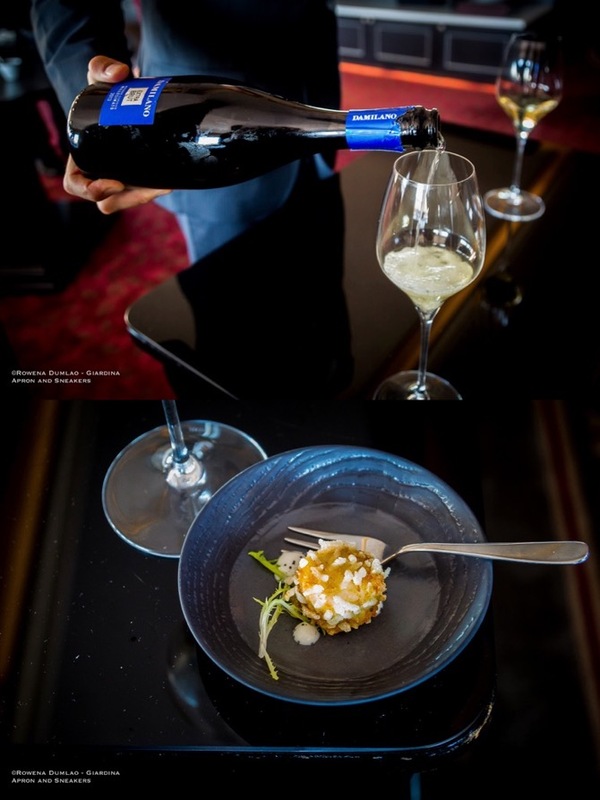 The delicate aromas of this wine opens up slowly with a prevalent gracefulness, as it takes its time in showing its peak in the glass. Its long persistence and smoothness in the palate makes you enjoy the wine longer.